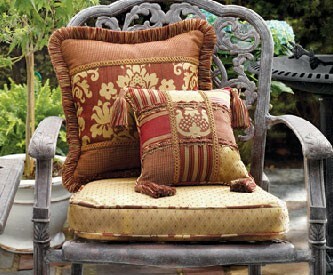 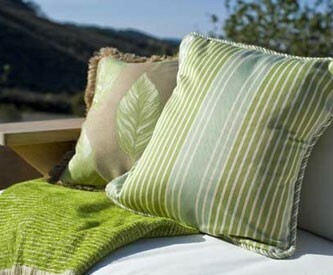 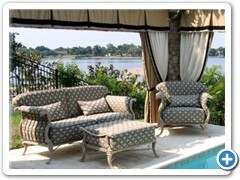 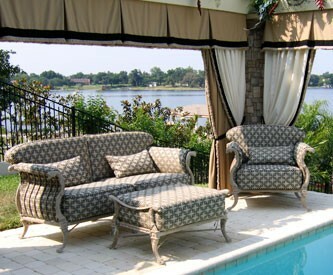 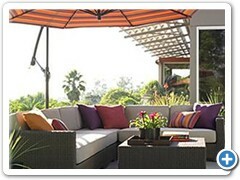 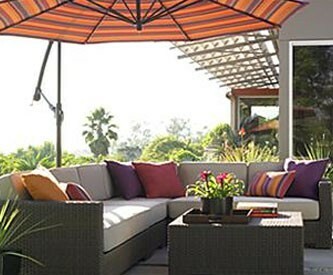 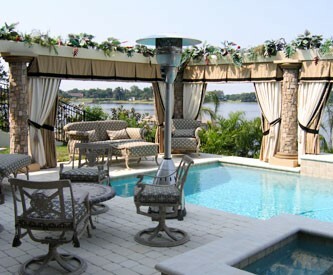 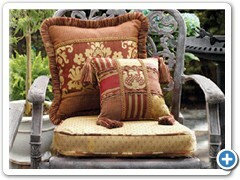 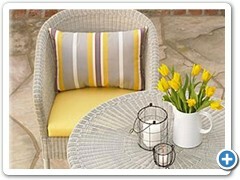 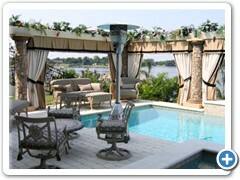 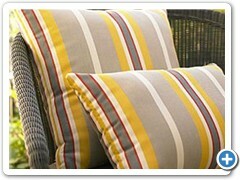 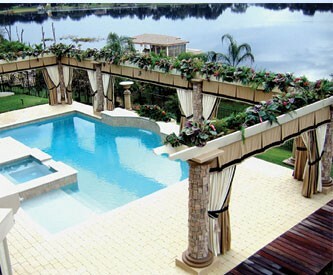 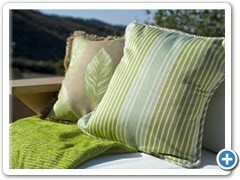 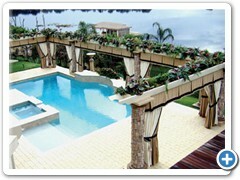 OUTDOOR LIVING ...Enjoy decorative luxury living and kick back with peace of mind that only outdoor lifestyle can bring! 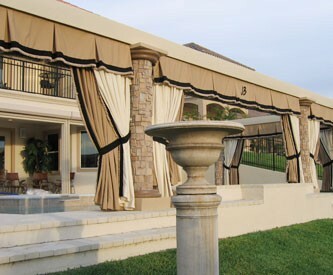 Custom Window Treatments' all–weather fabrics allow you to have the ultimate in beauty, durability and cleanability in any environment. 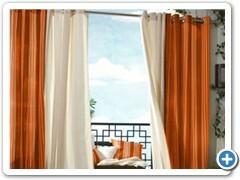 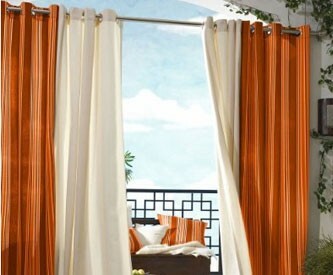 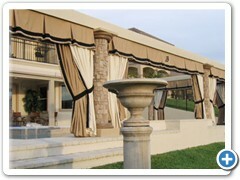 Our Outdoor Curtains shield you from the weather, harsh sun rays and prying eyes while their appeal is apparent to all. 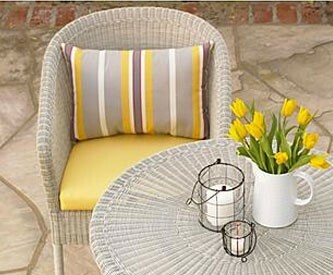 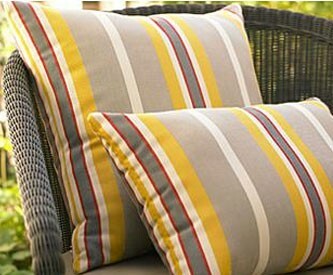 Compliment them with our striking all–weather cushions and pillows, and delight in the ideal setting for relaxation and entertainment!